Welcome to this week’s #sundaysevens, as thought up by Nat over at Threads & Bobbins – a weekly blog series featuring seven photographs of your week to show a bit more about the person behind the blog. 1. Spent the first part of the week with my cousin in her second home in Cornwall. 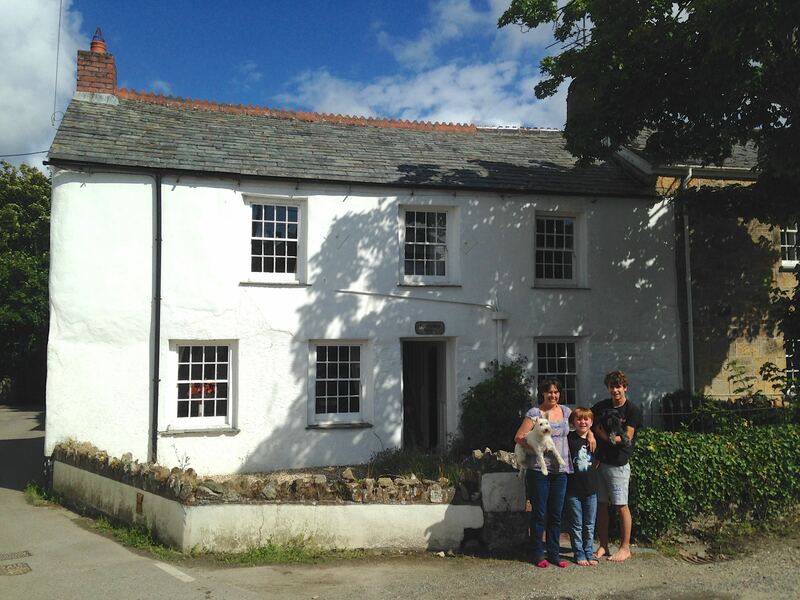 Here she is outside the cottage with her sons and two dogs. You can see more photos of the cottage in last year’s post here. 2. Our first visit to The Eden Project which was very busy but better than I expected it to be. The sheer scale of the project is mindblowing and continually evolving. 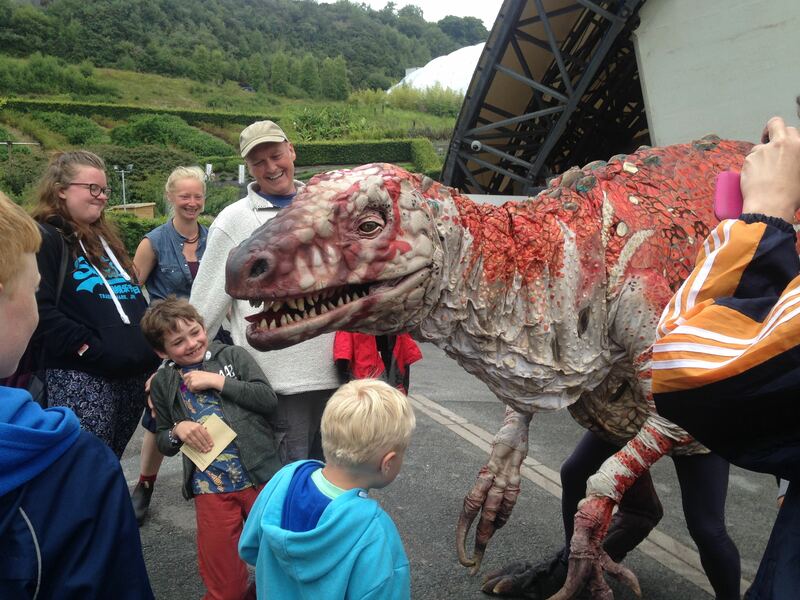 There is a dinosaur exhibition on at the moment, complete with life size dinosaurs operated by people within. The dinosaurs are so realistic that the human’s legs have to be showing to show that is just a dressing up costume, so that the children are not scared half to death! The actors inside were brilliant and did a great job of ‘hunting’ down the adults amongst us whilst being quiet and gentle with the kiddies. 3. 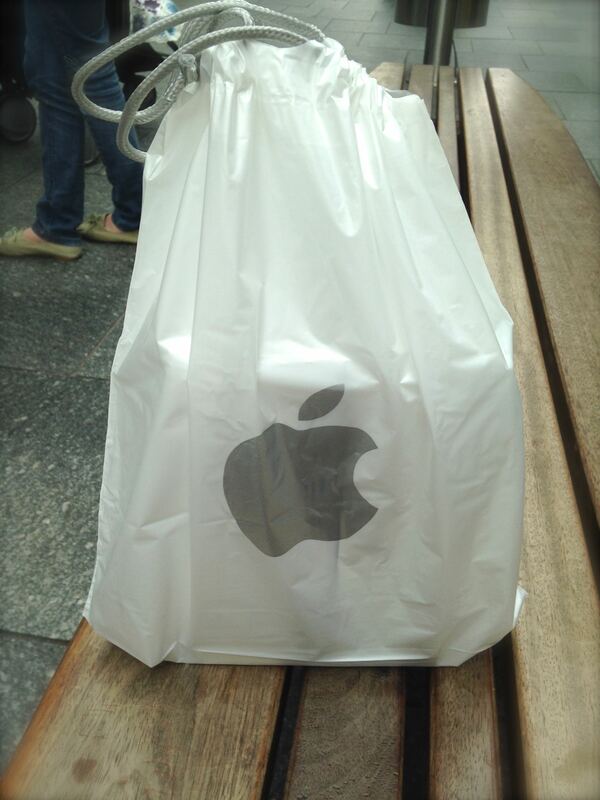 Treated myself in the Apple store…. 4. 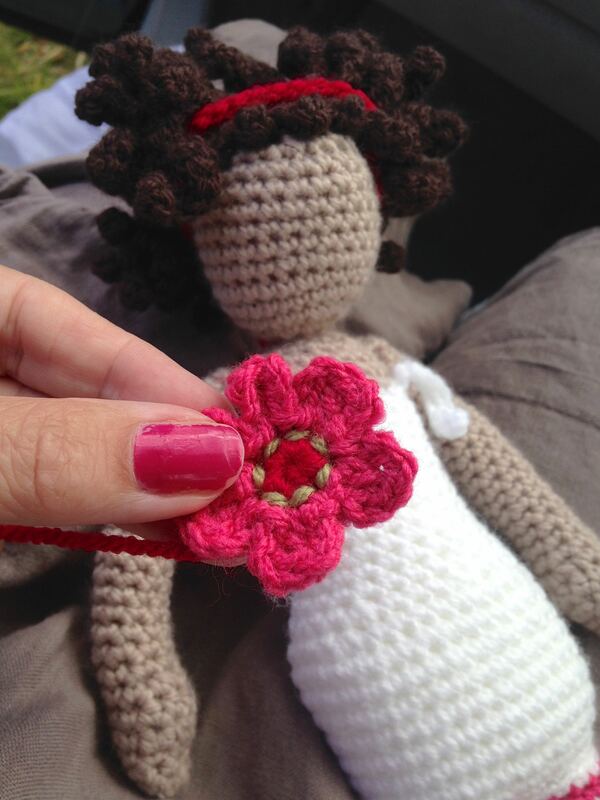 Cracking on with those crochet dolls and accessories. 5. 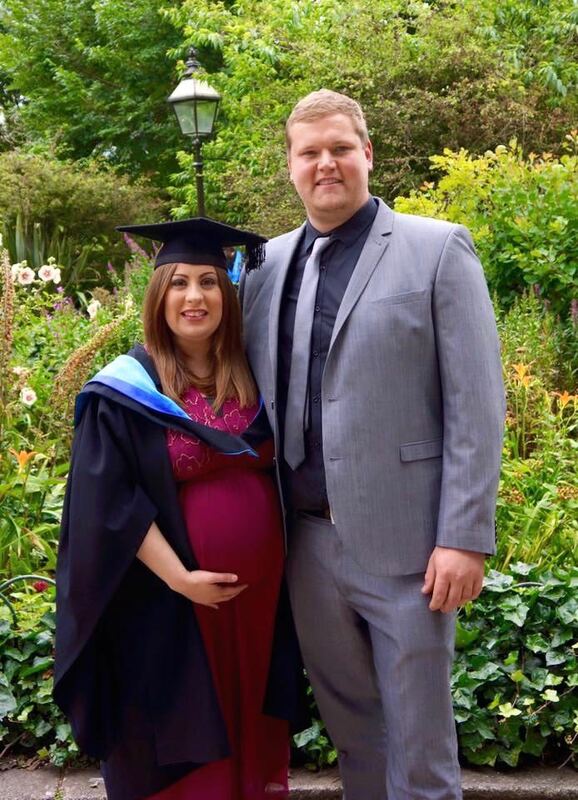 Eldest step-daughter’s graduation as a mature student – here she is with the proud dad-to-be. 6. Naked cricket in the garden – Mr. H-L even mowed a cricket pitch for them! 7. My daughter and her boyfriend came over for lunch today and some fun in the sun which included the pool and some more cricket. What a glorious day it has been so far! What a lovely week and enjoy the sunshine. Cloudy, grey and chilly up north! Thanks, we will – I suspect the fire will be lit later so we can stay outside in comfort. Looks like a lovely, sunny week. I have serious garden envy – it looks huge and like it has a beautiful view. What was your Apple treat? That Cornish cottage looks idyllic. I’ve been to the Eden Project, I also found it better than expected, there’s so much to see isn’t there? It might be big, but it takes a lot of work to keep it nice – even without any shrubs or flower beds (which the hens would dig up). The view is the sole reason we bought the house – we even have a balcony off our master bedroom to make the most of it. I treated myself to an iPad mini as my iMac is in the office and, therefore not portable, and my iPhone is too small for browsing. We could have spent another day at The Eden Project so will definitely go again. They really were good and added a lot to the static exhibition. Needless to say, The Boys were entranced by them! 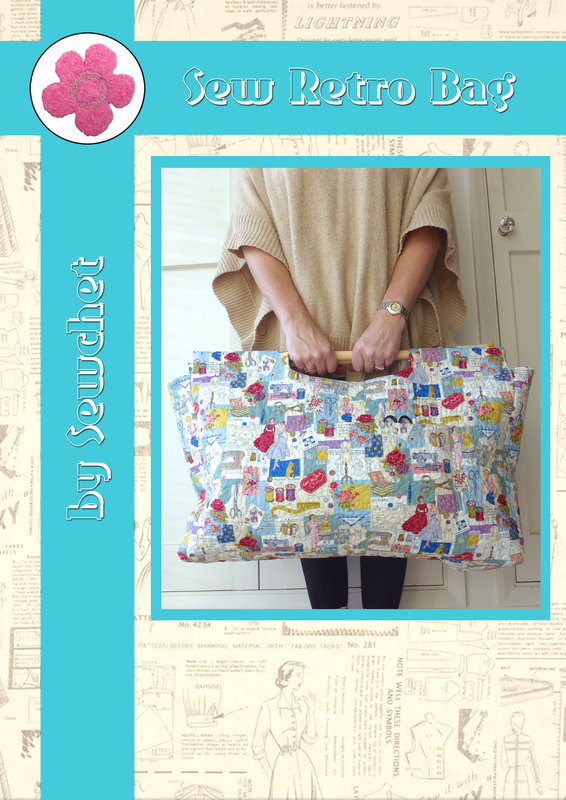 Another great roundup of another great week in sewchat land – love the naked cricket! Clothes seem to be an optional extra if you’re 8 or 9, they prefer to be unencumbered and play as nature intended! 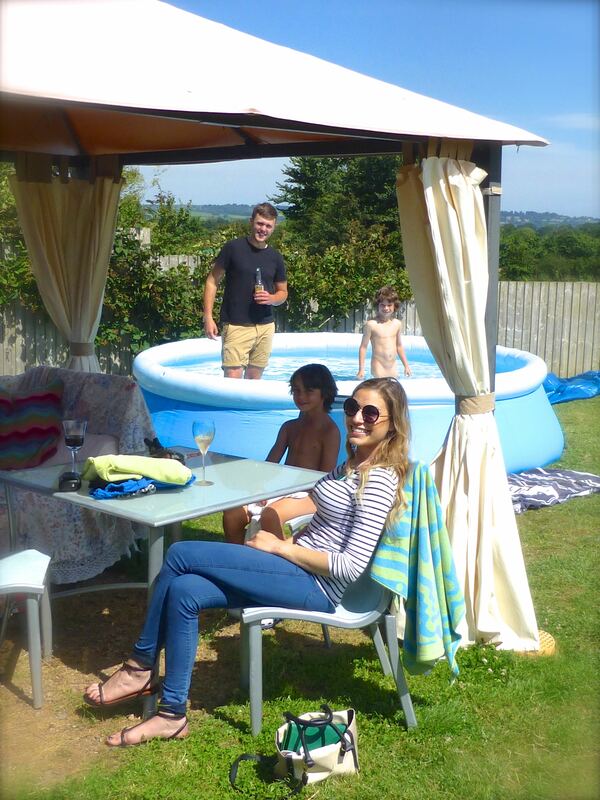 Isn’t it wonderful – my kids used to spend their summer days au naturel too! It brings back delightful memories! Another great fun packed week 🙂 OMGoodness I have sky envy – look how blue it is!!! We have been having cold, grey and wet, so I think summer is over in the northwest for this year 😦 The little crocheted dolls seem to be the perfect thing to fit in amongst your busy week! We’ve had our fair share of rain so we make the most of the sun when it comes out, especially if it happens to be at the weekend. Not that a drop of rain stops The Boys’ fun – they’re quite happy trampolining with or without clothes! 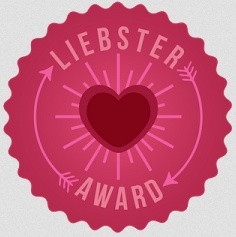 They were great – the whole place exceeded my expectations actually, so I was pleasantly surprised. Gosh! It’s not easy when there’s no where for baby to go but forwards! I have long legs and short body so I was out of my clothes at 8 weeks! My jammy step-sister is nearly 6 ft and never came out of her jeans!! There’s definately an argument for the fellas to have the babies! It’d be a piece of cake for them! No idea if they are part of a tour – probably, because a lot of time and money had obviously been spent to make them that realistic! I used to manage a photography shop and saw the complete metamorphosis from bare beginnings to maturity on peoples’ films, but this is the first time I’ve been. Very impressed, I have to say – sooo much to see and do. The tropical dome was incredible and they’re currently fundraising (it’s a charity) to build a behind-the-waterfall experience by next year! It has improved massively over the years, well worth another visit – perhaps in 2016 when the behind-the-waterfall experience in the tropical dome has been built?